Yesterday, as I was trying to drive my old car to the mechanic, it occurred to me how much our bodies are like our cars. They take us around, we take them for granted and expect to arrive at our destinations without too much effort on our part to keep them functioning. 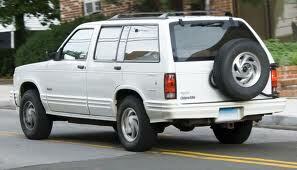 My 1989 Blazer just sits in its parking space, waiting for me to crank it up and off I go. However, my car gets my instant attention when it decides not to start, therefore dashing all my plans. A few years ago, my body provided me with a similar feeling of dread when my hip, which badly needed a hip replacement, finally said, “Enough procrastinating, I won’t work anymore.” Wow, ok, this got my attention! Living in San Miguel de Allende, my yearly driving distance never adds up to many miles so I tend to forget that my old friend needs regular maintenance, lubrication and service. Usually I am busy getting from place to place, home to work or to complete my list of to do items. Nothing gets in my way except a malfunctioning car that stops me in my tracks. It might be low oil, dirty filters or no gas? Otherwise called, lack of maintenance. In fact, just yesterday, my old friend gave its last gasp. I had to drive with one foot on the accelerator and the other foot on the brake all the way to the mechanic so it wouldn’t die. While I found it an interesting experience, I did realize my 25-year-old car needed even more regular attention than I have been giving it. As our cars and bodies age, they require more care and attention. Yet, it might be a time when the words in our head say, “I just want to retire, relax, take it easy” or “let’s trade this one in or take me to the junk yard.” When in fact, now is the time to work harder, perform maintenance more often, increase our awareness and commit extra time to taking care of our bodies (and cars) in order to keep them going well. 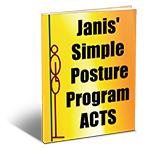 Side Bar: Heard in the gym: A friend of a client told me she needed to start doing “something” because when she stood up from a low chair, she had to ask people to look away! While is statement cracked me up, I felt this was a powerful example of how the slow, gradual loss of our strength and grace can show up and surprise us one day. The good news, it doesn’t have to be that way. Exercising to oil up our joints, relieve stiffness, keep or build more strength, reduce the risk of falling and keeping our bodies in good working order is completely doable. And yes, it will take more time and effort now. Everyone will have a turning point. As a lifetime trainer, I know the earlier the U-turn to doing something is made, the more successful and easier it will be to stick on the path. Wow, sounds like I am preaching. I usually like to keep my writing personal. In fact, my old car conking out, reminded me that lately I have let my body rest (or rust) while my schedule busted at the seams. For me, it is time to check under the hood! 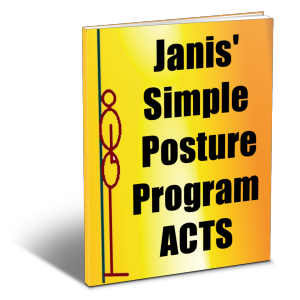 If you are a follower of the Live Like You Can Blog, you have received ACTS, my simple posture program, I find these simple reminders and exercises are the best way to instantly feel energetic and look younger without taking more than 10 minutes. In fact, this program has been the answer for me in this busy time. It works, I guarantee it!